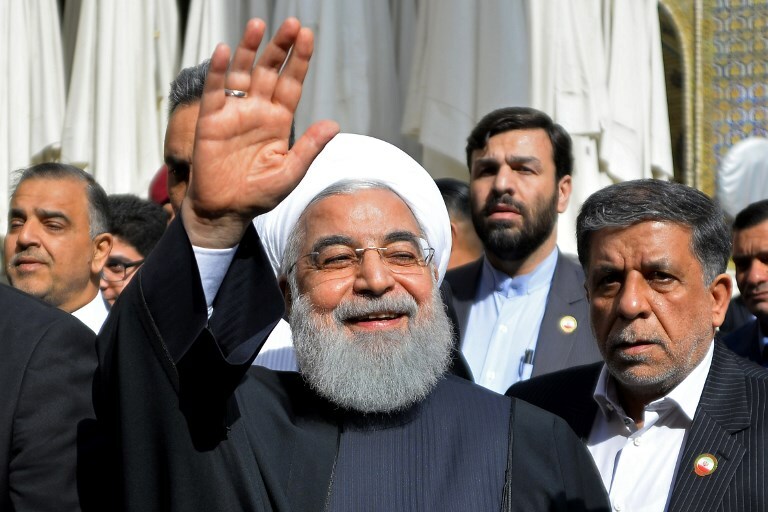 Iranian President Hassan Rouhani’s recent visit to Iraq, which led to some moderate wins for Iran, is the opening act of a volatile period of Saudi-Iranian competition in the country. In the visit’s aftermath, Saudi Arabia is sure to make significant interventions to balance out perceived Iranian gains. Rouhani’s visit began with him paying obeisance at important Shiite shrines. He aimed to demonstrate that no other country can replicate Iran’s religious-cultural links with Iraq. Saudi Arabia is likely to respond by cultivating its ties with Iraq’s Sunni tribes. It will also step up reconstruction efforts in Sunni regions. For example, the UAE, a close Saudi ally, has committed to rebuilding the destroyed 12th-century Al Nuri grand mosque in Mosul. Saudi Arabia will also use its control of Arabic-language media outlets to foster greater cultural ties between both countries based on their common Arab heritage. Rouhani also sought to deepen Iran’s economic engagement with Iraq. The most significant economic achievements from the visit were memoranda of understanding on increasing Iranian energy exports to Iraq and a rail link between both countries, besides abolishing visa fees for each other’s citizens from next month. These are, however, notional achievements. Iran can ill-afford to invest in the rail project, as its economy is reeling from the impact of US sanctions. There is significant pressure on Baghdad from the US to diversify its energy sources away from Iran. Lastly, abolishing visa fees is considerably less than what Iran wanted, which was a visa-free regime. Saudi Arabia can leverage its considerable financial muscle to outdo Iran in the economic sphere. It is likely to invest in strategic projects that will generate jobs and improve ordinary Iraqis’ quality of life, such as power generation, education and healthcare. Other options in the Saudi economic toolkit for Iraq include reopening border crossings between the countries, making it easier for Iraqis to get Saudi visas and connecting Iraq’s power grid to the GCC power infrastructure. Sure enough, a Saudi delegation comprising its minister of commerce and investment was in Baghdad the day after Rouhani left. To protect its projects from attack by Iranian proxies, Saudi Arabia is also likely to make concomitant investments in security assets in Iraq, which would be viewed as a significant escalation by Iran. On the political front, Rouhani’s meetings with Iraq’s political elite were significant for their inclusion of Sunni tribal leaders, causing Foreign Minister Mohammad Javad Zarif to tweet that “all Iraqis are our friends.” This was in keeping with Iran’s goal of co-opting Iraq’s Sunnis into a pro-Iran government in Baghdad, so as to achieve hegemony over Iraq. Indeed, there are even reports of Iran-allied Shiite militias incorporating ex-ISIS fighters into their ranks in Sunni regions. This represents a significant red line for Saudi Arabia. Saudi Arabia will likely respond by cultivating Shiite and Sunni politicians with promises of patronage and investment in their constituencies. For more than a year now, Saudi Arabia has assiduously cultivated ties with Muqtada Al Sadr, leader of Iraq’s urban working class Shiites as well as that of its largest parliamentary bloc. Al Sadr has reinvented himself as an Iraqi nationalist, and his speeches have distinct anti-Iran overtones. It is no coincidence then that Al Sadr did not meet Rouhani during the visit. Rouhani’s meeting with Grand Ayatollah Ali Al Sistani in Najaf, other than giving him political capital for domestic use, was meant to showcase the Najaf clergy’s support for Iran’s primacy in Iraq. Al Sistani, however, offered conditional approval for Iran’s involvement in Iraq, provided Iran stays out of Iraq’s domestic affairs and respects Iraqi sovereignty. This is reflective of the Najaf clergy’s historical unease with Iran. And not only has the Najaf establishment rejected the velayat-e-faqih (Iran’s cleric-dominated governance model), but it remains wary of Iranian attempts to control the succession process to the 88-year-old Al Sistani. Saudi Arabia is likely to seize on this by fostering its engagement with the Najaf clergy, to whom the Gulf’s Arab Shiites have historically turned for guidance. In the coming months, Saudi Arabia will open a consulate in Najaf and increase slots for Iraqi pilgrims in the annual Haj. In an ideal scenario, Baghdad can use Saudi-Iranian competition to further its national interests, while also fostering rapprochement between both countries. But this is unlikely to happen. Iraq’s polity is fragmented, and an apolitical technocrat leads its weak government. Moreover, both the Iranian and Saudi regimes are each determined to checkmate the other’s regional ambitions. Nevertheless, Iraq remains squarely at the center of the Saudi-Iranian competition. Dnyanesh Kamat is a political analyst who focuses on the Middle East and South Asia. He also consults on socio-economic development for government and private-sector entities.